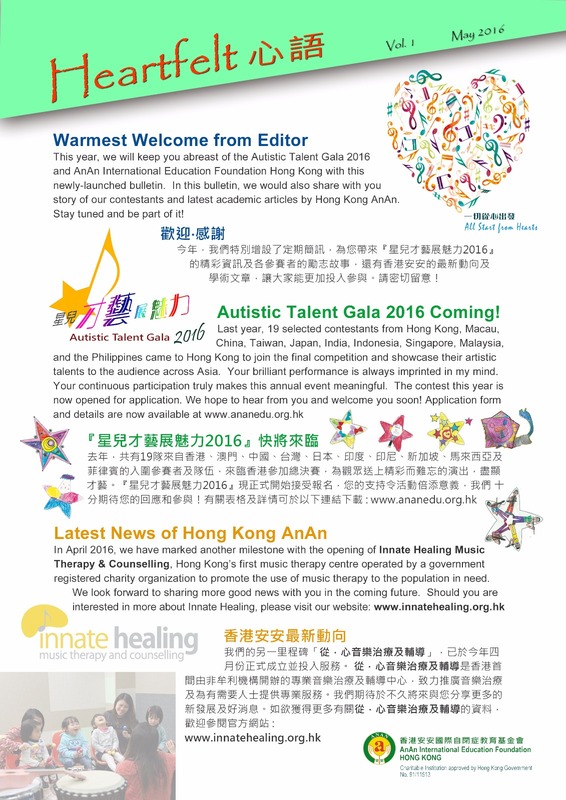 Online voting for 【Autistic Talent Gala 2016】 comes to the end! The Online Voting of Autistic Talent Gala 2016 was completed at 23:59 on 7 September 2016. The result of the finalists will be announced at noon on 11 September. A lot of the autistic persons have exceptional aptitudes in arts and music. As there are limited public occasions for the autistic to show their talents, autism is not widely understood and accepted by society. To offer a platform for the autistic to reveal their talents in public and build up their self-confidence, our foundation has started to organize the first-ever music contest for the autistic in Asia since 2014. Last year, 77 teams from Hong Kong, Macau, Mainland China, Taiwan, Japan, India, Indonesia, Vietnam, Singapore, Malaysia and the Philippines joined the competition and the contest has further evolved as a platform for international communication and exchange platform. 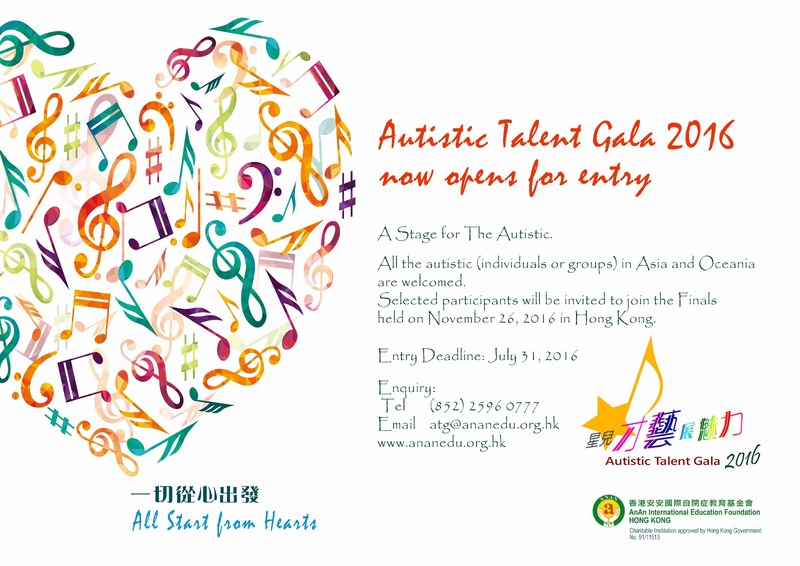 Considered the active participation and positive response over the years, we will continue to organize the 3rd contest, “Autistic Talent Gala 2016”, aiming to promote social equality, integration, public understanding, and respect. This contest is now open for entry and the deadline of application will be July 31, 2016. The selected participants will be invited to join the final competition to be held in Hong Kong on November 26, 2016. We sincerely invite your participation. 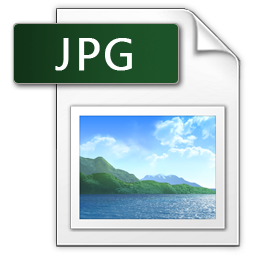 Please feel free to contact us at phone: (852) 2596 0777 or email: atg@ananedu.org.hk for any enquiries. We are looking forward to hearing from you soon.